You have probably heard an onomatopoeia or used an onomatopoeia plenty of times, without even realising it. Understanding onomatopeia and utilising it well, will greatly enhance your spoken and written ability. For instance, if someone fires a gun in your story, you can choose to simply say the gunshot was loud. But this hardly paints a descriptive picture for the reader. You could instead say that the gun made a “bang.” The word “bang” mimics the sound a gun produces, providing an instant, unmistakable auditory image in the mind of the reader. Onomatopoeia is a powerful device that we can utilise to create more descriptive stories by engaging the sense of sound, a concept that is often difficult to convey with words. 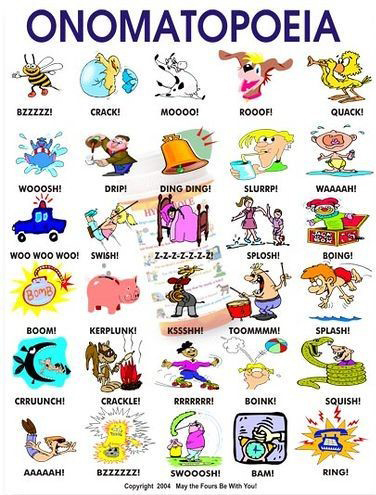 The use of Onomatopoeia can help to better explain events, give a more vivid description of people, places, and ideas, and provide the reader with a better understanding of you, the writer’s, intent and meaning.